A match made in heaven: Julia meets Lydia. 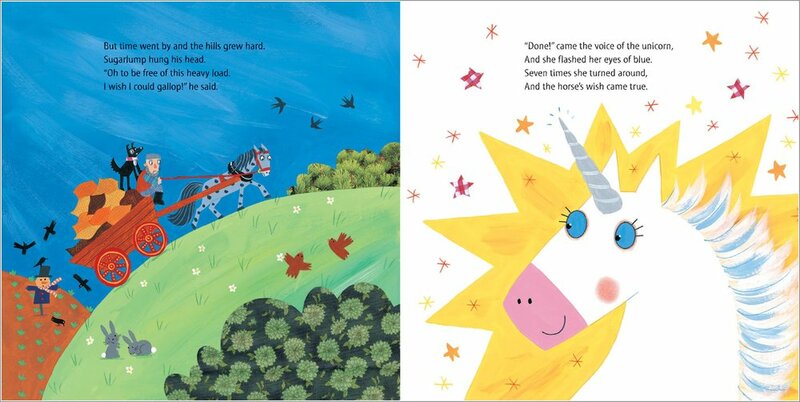 Quirky, funny and rainbow bright. 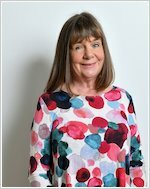 Don’t you adore Julia Donaldson’s rhymes? Well, they’re even better when she teams up with top artist Lydia Monks. 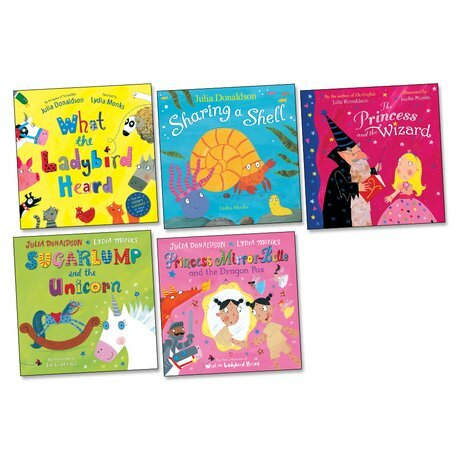 Then you get all the joy of Julia’s best-loved stories, plus Lydia’s pretty colour pictures. Perfect! Do you like bunnies, princesses and wizards? Or magical unicorns who grant wishes? Welcome to the only place you can find all those things at once. The pack you’re all wishing for.